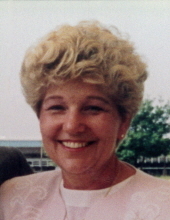 Shirley Sue Geers, of Rolla and Murfreesboro, TN, passed away on Tuesday, January 15, 2019 at the age of 75. She was born in Fulton, MS on November 23, 1943 to the late Alvin and Annie (Stewart) Blaylock. On June 5, 1958 she married Bobby Russell who preceded her in death on December 26, 1980. On July 2, 1983 she married William “Bill” Geers, who survives. Shirley retired as a quality control supervisor for the Warneco Clothing Manufacturer which produced the White Stag line brand of clothing. She was a former member of the Mt. Vernon Baptist Church in Mt. Vernon, MS and current member of the Third Baptist Church in Murfreesboro. In addition to her parents and first husband, she was preceded in death by one brother, Kenneth Blaylock and one son-in-law, Tim Wiygul. Shirley will be greatly missed by her surviving family which includes her husband, Bill Geers, of Rolla and Murfreesboro; five children, Debbie Dozier (Douglas), Sharon Russell, Charlotte Wiygul, Cindy Sheffield (Matt Beasley), all of Fulton, MS, and Julie Boehmer (Charlie) of Labadie, MO; two sisters, Shelby Davis, of Fulton, MS and Katherine Barrett, of Moorsville, MS; eight grandchildren; seven great grandchildren; nieces, nephews, other extended family members and dear friends. A funeral service for Shirley Geers will be held at a later date at the Mt. Vernon Baptist Church in Mt. Vernon, MS. Interment will follow in the adjoining church cemetery under the direction of the Senter Funeral Home of Fulton, MS.
Memorial contributions are suggested to the Alzheimers Association. To send flowers or a remembrance gift to the family of Shirley Sue Geers, please visit our Tribute Store. "Email Address" would like to share the life celebration of Shirley Sue Geers. Click on the "link" to go to share a favorite memory or leave a condolence message for the family.